Does Filing for Divorce Affect My Immigration Status? On its face, divorce is almost always a stressful and traumatic experience for everyone involved, even when there are no child custody, alimony, or disputed property division issues to deal with. However, what happens if you’re not a U.S. citizen and you’re suddenly facing a divorce? How does a Florida divorce affect your ability to remain in the United States as a legal resident? Obviously, the United States government is committed to ensuring people are not entering the country with the sole purpose of gaining residency through marriage. Variables exist in every divorce situation, and your future immigration status will depend on whether you’ve gained permanent residency yet. If you’ve been married for two years or more, immigrants typically have conditional residency status. After two years, the green card will expire and you can apply for permanent residency. There is only a short window to remove conditions of residency after the second anniversary. Even if you aren’t getting along, this process must be completed together in order for the conditions to be removed and for you be approved for permanent residency. Exceptions exist here depending on whether you were the victim of abuse or whether the marriage is being annulled. Some situations may provide for the foreign spouse to retain residency, but you need to ensure you retain a Florida family law attorney who has experience with divorces involving immigration status issues. The spouse seeking permanent residency needs to prove that the marriage was entered into in good faith and the dissolution is due to no fault of the immigrant. Having a child together, living together as husband and wife, and/or purchasing a property together are ways the court looks at whether the marriage was legitimate or not. 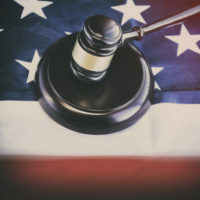 Other factors the court looks at include what kind of hardship it would place on the spouse if deported, and whether he or she was abused or treated cruelly by the spouse who is a citizen. For marriages that have lasted longer than two years, the courts are less inclined to deport the immigrant spouse, but there is no guarantee. Will I lose Custody of My Child if I am not a Citizen? The courts handle child custody issues by looking at who the biological parent is and what is in the child’s best interest. Unless a child was adopted or there was a surrogate utilized, both parents are likely the biological parents. This means both have the right to custody, whether one parent is a U.S. citizen or not. Just because a parent may be losing the right to reside in the country doesn’t negate their biological rights to custody of his or her child. It always comes down to what is in the best interest of the child once the divorce is completed. If you’re facing a complicated divorce that includes potential immigration issues, you need a skilled Boca Raton divorce lawyer. Contact the Law Offices of Schwartz | White at 561-391-9943 or use our online contact form to schedule an initial consultation.